OCEAN Grover Leigh-Ann Johnson took the trip of a lifetime recently. 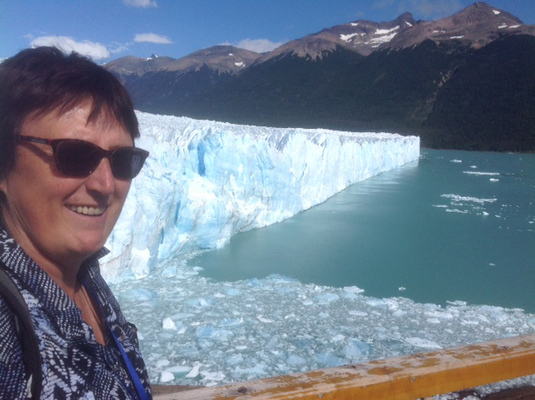 After overnighting in Buenos Aires, she flew to El Calafate where she joined a 10-day tour across Patagonia through Argentina and Chile. She then went to Antarctica and flew from Puerto Arenas to Pt William and then boarded the Polar Pioneer, only 48 passengers, 10 leaders and 23 Russian crew. “As expected sailing across the Drake Passage was very rough and seasickness was apparent. The next 12 days were filled with awesome scenery, huge tabular icebergs, wildlife and interesting talks,” Leigh-Ann said. 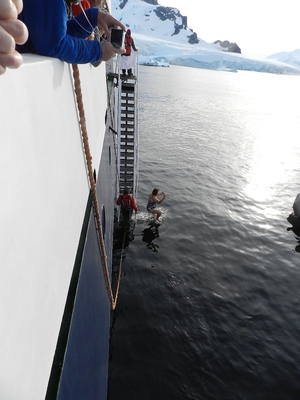 She also braced herself for a polar plunge into the icy waters. She saw 30 humpback whales passing through the Dallman channel and then spent two days sailing (rough) and ending the tour in Ushuaia, Argentina. “Antartica is very cold, very dry and very windy and very spectacular,” she said.